This client came to the Billington Partnership via recommendation. The client was undertaking a massive refurbishment of a new house in Balham, just off Bellevue Road in London. The client’s brief was clear. 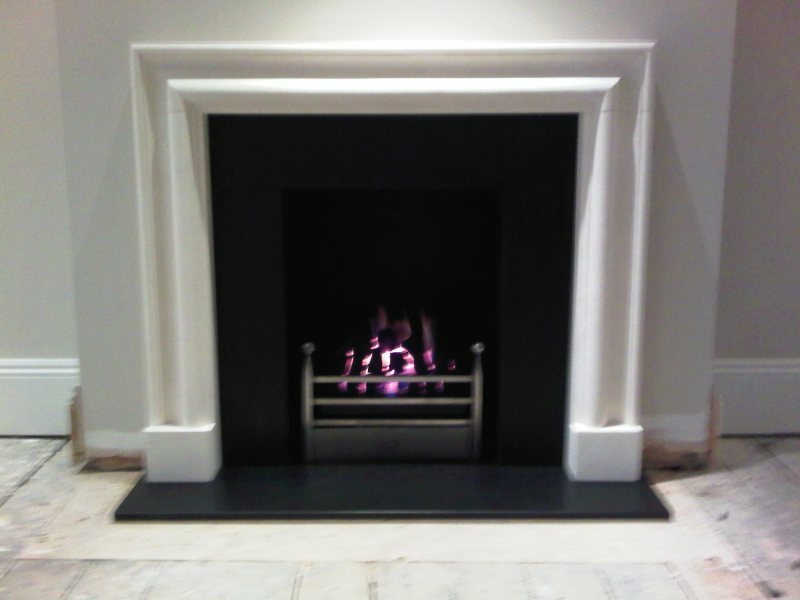 Our job was to install two matching bolection limestone fireplaces in the main bedroom and the living room of the house. Both bolection fireplaces were bespoke and had to be ordered specially. Once delivered, we were able to install the fireplaces and fit them both with remote control gas fires. 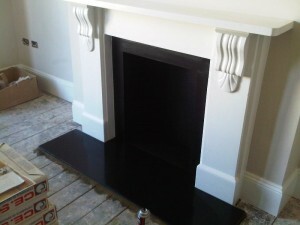 In addition, the client requested us to refurbish the fireplace in her son’s bedroom. 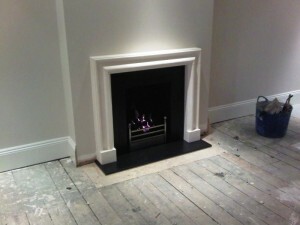 We added a new slate hearth and slate slips to the existing Victorian style fireplace. 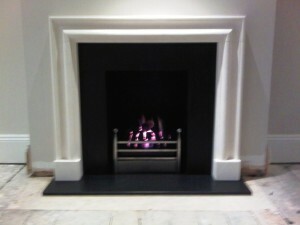 View another bolection limestone fireplace installation carried out by The Billington Partnership.